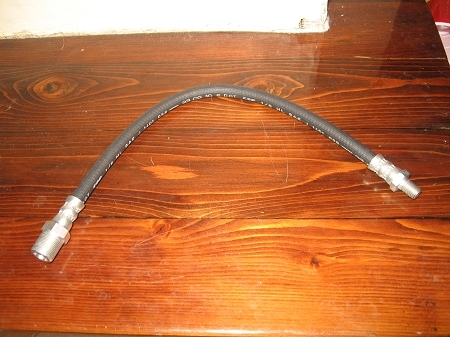 Nice made in the UK brake hoses for MG TD or TF. These fit the front or the rear. Three are needed per car. These are modern hoses and are DOT approved.